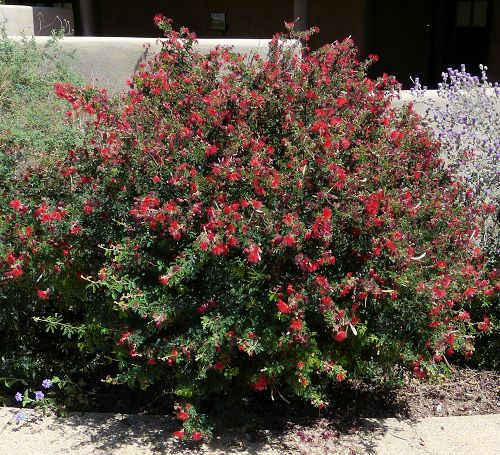 Form: An open, casual shrub. Leaf retention: Evergreen but drought and cold deciduous. Mature Size: 5-6' high and wide. 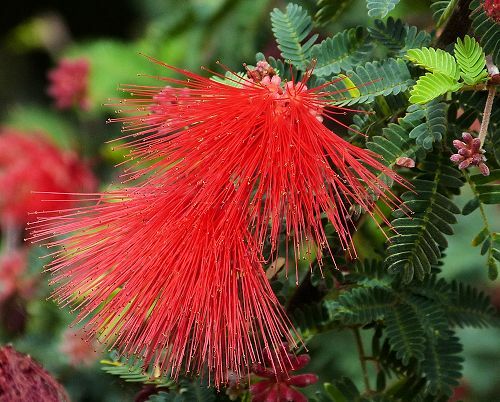 Flowers: Bright red, 1" long, clustered stamens resemble miniature dusters. Bloom: Full bloom in winter or spring, then sporadically in summer or fall, depending on local climate. Fruit: Flat, light brown seed pods with bean-like seeds. The seed pods snap open unpredictably, ejecting seeds forcibly in all directions. Wildlife: Attracts bees, butterflies, and hummingbirds. 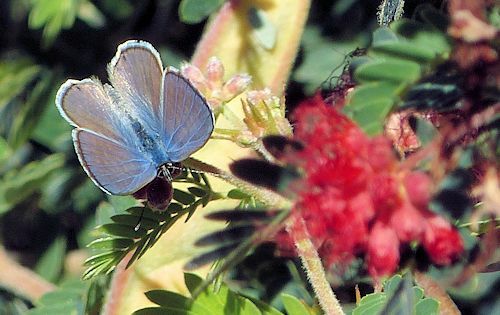 A caterpillar food plant for several blue butterfly species. Water once established: Once or twice a month. It withstands weekly watering, but the soil must dry out between waterings. Supplemental water improves growth and flowering. Soil: Well drained, pH 6.1-8.5 (slightly acidic to alkaline). *Do not use a nitrogen fertilizer. Prune: In late spring, prune only lightly to shape form. Heavy pruning reduces blooms. This plant is a member of the Legume family (Leguminosae). 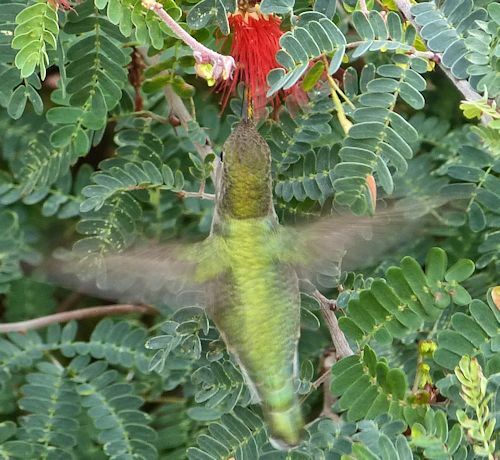 It may attract mites or mealybugs that are consumed by hummingbirds. 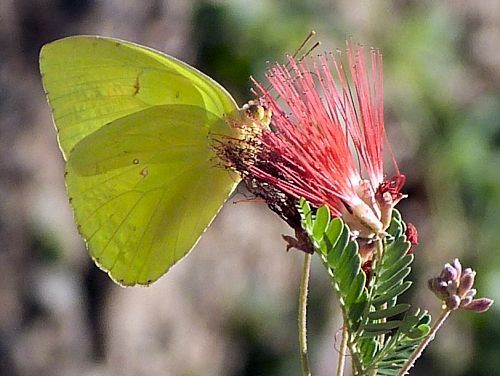 The butterflies pictured are a Cloudless Sulphur and a Reakirt's Blue.